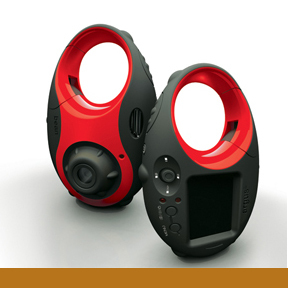 The Bean is a rugged, affordable and easy-to-use digital camera for children. It has only the controls and modes necessary for young users, but boasts a 1.5-inch LCD display, 5 megapixel resolution and USB connectivity/recharging. It easily clips on to clothes or a backpack, is water and slip resistant, and is ergonomically designed to fit children’s hands.